Sugar Cane Club Hotel & Spa is an adults-only retreat in historical Speightstown overlooking the exotic west coast of beautiful Barbados. Relax in tropical surroundings with modern facilities and comfortable guest rooms in this luxurious boutique hotel. Kick-back on a comfy lounger by the pool and work on your tan. Find moments of serenity with indulging treatments in the spa, or challenge your partner to a game of squash. Take advantage of the hotel's mountain bikes and explore the vibrant culture and sweeping beaches Barbados has to offer. The traditionally-decorated guest rooms are spacious and boast a wide range of amenities, including air-conditioning, daily maid service, alarm clock radio, kitchenette with cooking utensils, iron and ironing board, flat-screen satellite television, and a balcony or patio. Savour local and international flavours and an occasional barbecue party with a choice of dining at the two on-site restaurants. Enjoy a variety of tropical and chilled drinks from the main bar and unwind reminiscing on your relaxing day in the lounge. 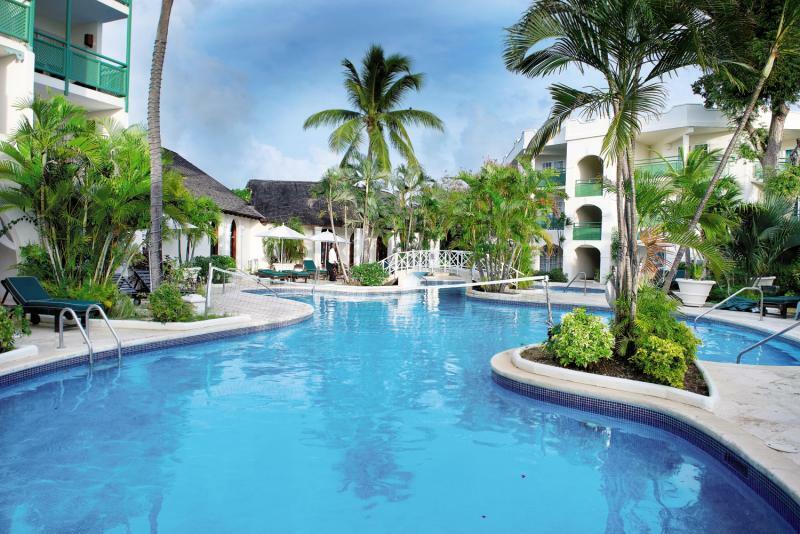 Discover why Sugar Cane Club Hotel & Spa is a favourite place to stay in Barbados. Sugar Cane Club Hotel & Spa has abundant facilities, including: two pools, two bars, two restaurants, spa, squash court, mountain bikes, shuttle service to beach, gym, Wi-Fi, guest laundry, on-site shop, and art gallery. La Salsa main restaurant is located in the main building featuring a menu of steaks, pork chops, lamb, soups, salads, and so much more. Sandy's Chattel Bar also offers a dinner service. Throughout the day enjoy cocktails from the pool bar and in the evening chill out with a nightcap at the main bar and lounge. Start your day with a refreshing swim in the hotel pool, top up your tan on a lounger, or keep up your fitness regime at the gym. Challenge your partner to a game on the squash court, or hire a mountain bike and explore the island. Sugar Cane Club Hotel & Spa also offers a complimentary shuttle service to the beach. Local bus services are available throughout the whole island and it is incredibly cheap to get from one side of the island to the other. Mullins Beach and Bar is just a ten-minute drive away where you can try a range of water sports such as jet-skiing. Sugar Cane Club Hotel & Spa has 40 rooms and suites, ranging from Superior, Deluxe and Executive Rooms through to Executive and Junior Suites. Superior Rooms feature: queen or twin beds, daily maid service, kitchenettes with microwave, oven, stove, fridge, toaster, and cutlery, flat-screen satellite television, safe, dressing table with mirror, full-length mirror, bedside tables with reading lamps, air-conditioning, ceiling fan in living room, alarm clock radio, wardrobe, iron and ironing board, computer desk, dining set, hairdryer, and balcony or patio. Guide price is per person. Based on 2 people sharing for 10 nights on Room Only. Flying from Selected UK airports. Year round departures. Overseas transfers available.